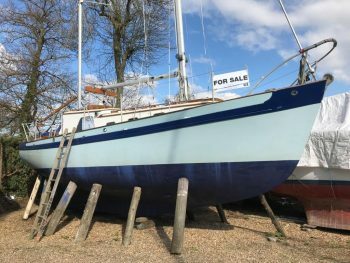 Condition: Well maintained, annually refitted engine serviced. 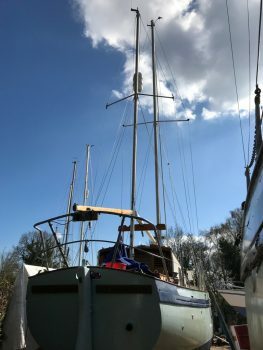 28ft Laurent Giles “Peter Duck” design offers a safe and well maintained cruising vessel, well proven sea worthiness. A good sea boat for two to cruise in comfort. 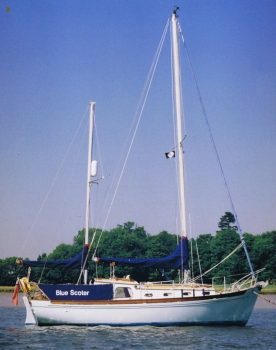 In her present ownership she has been cruised single handed for several years. Cascover sheathing, on her underwater hull. 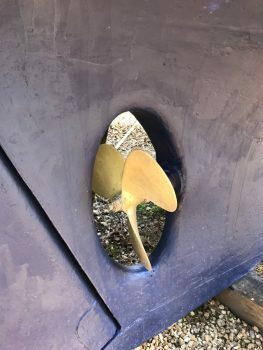 This has now all been rectified and re antifouling has been done. 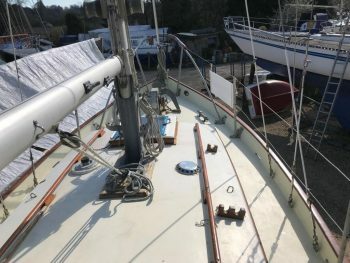 Her masts have also been stepped. Summers spent on a swinging mooring. Out to the West Indies via the Canaries onto the USA and back to UK via Bermuda and the Azores, taking two years about it….. In her present ownership for the last 15 years. Underwater hull was Cascover coated when built antifouling applied on top of this. High bulwarks all round the decks. 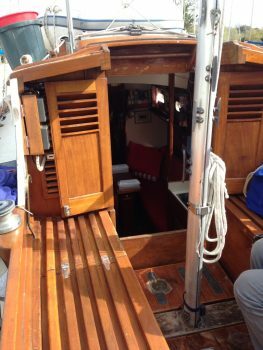 Tiller steering, deep open aft cockpit. Carvel planked built to Lloyds 100A1 specification. Sheathed below the waterline, when built. All inspected in 2000. Lead pig internal trimming ballast. Decks of marine ply sheathed and painted.cream. Superstructure built in Iroko and sheathed and painted cream coach roof. Good standing headroom through the accommodation. 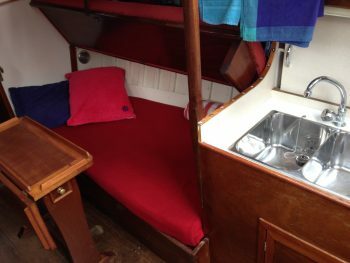 Two generous sized twin berths in the fore peak cabin with full headroom. In the saloon, opposing full length settee berths with drop leaf dining table. 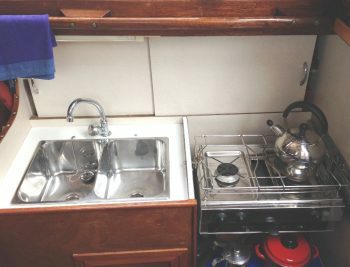 Galley to starboard of the companionway with a double sink, calor gas double burner with grill. Isotherm built in refrigerator. 12v electrical system . 2 x Domestic batteries. Chart table to Port. Removable cockpit table. Taylors diesel heater sited against the forward bulkhead. 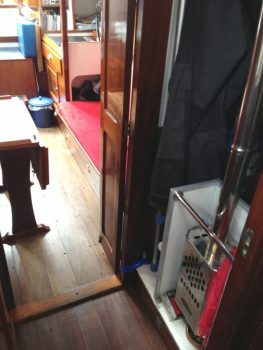 Pressurised water cold only to galley. Manual pump in the heads. 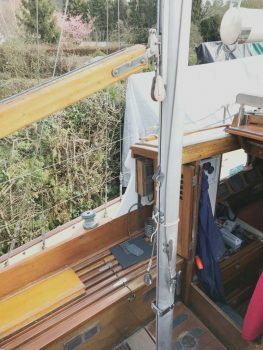 Delt kedge anchor on chain and warp. Manual anchor windlass on the fore deck. 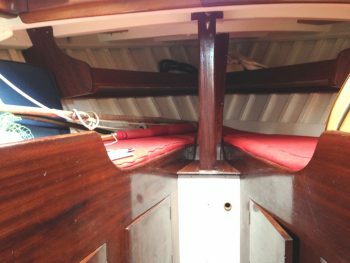 Spars: By Proctor silver anodised alloy with the exception f the mizzen boom which is varnished wood. Deck stepped. Stainless steel standing rigging Multiplait polyester running rigging. 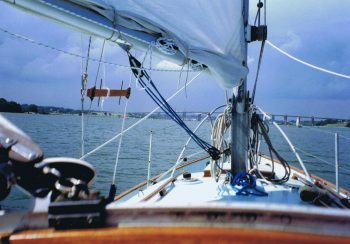 Main sail and mizzen in serviceable condition white terylene. 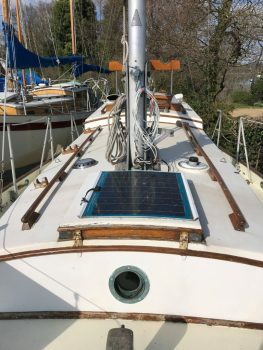 A mizzen staysail, terylene and in very good condition.